I had a reader email me recently asking me how I manage to keep my home so clean and organized with three young children. She admitted to be that her own home felt chaotic and seemed discouraged. I immediately emailed her back with encouraging words-I never want my blog to be a place that discourages my readers, but rather a place with new ideas, inspiration, and encouragement. 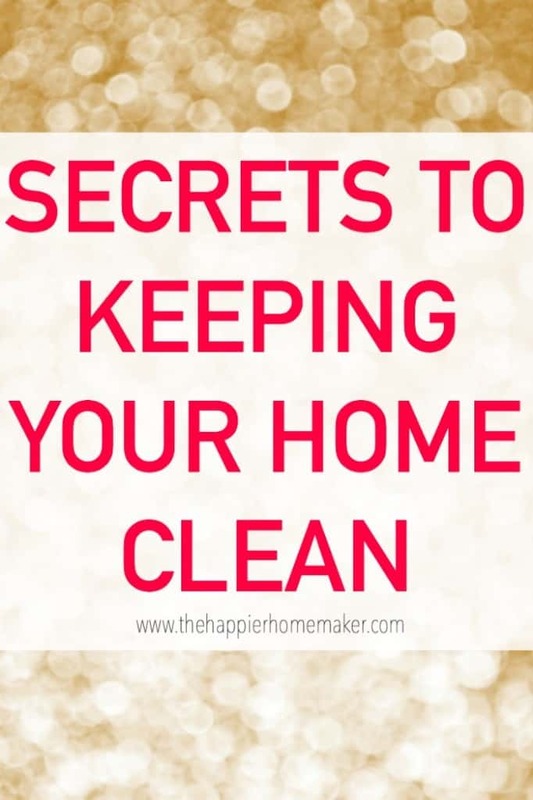 So today I thought I’d share my top four secrets to keeping your home clean. A place for everything and everything in it’s place-it’s a simple concept and once it becomes habit you’ll never go back. I suggest beginning with a purge-get rid of old and unused or unnecessary items. Start with one area at a time and work your way around your house. I tend to be a hoarder of things and my husband is very orderly so he routinely reminds me that areas need to get policed up. It’s hard for me to get rid of things but I value the order and organization far more than the comfort of hanging onto unneeded items. I love the quote below as a guideline for what to keep. Listen to me….you are not your family’s maid. Even if, like me, you are a homemaker and consider that your primary profession, it is not your responsibility to clean up after everyone in your household. It is, however, your responsibility to set expectations for how you would like others to contribute to the household and enforce those expectations. I am lucky that I was blessed with the most organized husband in the universe. He sets a new standard when it comes to cleaning and maintaining a household. He also works very long hours and deploys away from the house often so the housekeeping falls mainly on myself. I have many friends whose husbands are quite messy and it makes it significantly more difficult for them to keep their home clean. If this is your situation I suggest you pick your battles and ask your significant other for small steps that will ease your workload. Perhaps your husband leaves his dirty clothes on the floor-is the hamper in a convenient place? Could you move it closer to where he changes to make it easier for him to get in the habit of putting them in the hamper. Be respectful of course when addressing the issue but be clear with concrete ways they can help and express how appreciative you would be if they could give you that effort. We also enforce clean up time multiple times throughout the day. Because we homeschool we are home most of the day and the mess can build up quickly. We do a quick round up of toys back to rooms at lunch, while I’m making dinner before my husband gets home, and then a thorough room cleaning in the evenings during the bath rotation. Because we have had these expectations since the boys were young they are pretty cooperative most of the time and it goes a long way to keeping our home tidy. I also ask them to help me when I’m cleaning a mess they contributed to but can’t handle on their own (like icky potty aiming errors or scrubbing toothpaste off bathroom counters!) Making them take time out of their play while I’m cleaning something they caused gives them a natural consequence and encourages them to take responsibility for their own messes. Developing a good cleaning routine is essential to maintaining a clean home with minimal effort. You can see my Weekly Cleaning schedule here. My list works for me but you may need to adjust yours to fit your life. For instance, if you work outside the home you may need to move many of the tasks to the weekend. Growing up with a single working mother, we had a Saturday morning cleaning time every weekend where we cleaned the house up for an hour or so. My mom always made it fun with loud music playing and I looking back it’s one of my favorite memories. Regardless of how you dole out tasks through the week what matters is that you’re maintaining a clean home on a regular basis-by cleaning consistently it reduces the amount of time it takes to clean overall. Even with a cleaning schedule you’ll need occasional deep cleaning sessions-see my Fall Cleaning Checklist and Spring Cleaning Checklist for guidance on deep cleaning your home. So, how many of these little tricks do you practice? Do you have a hard time keeping your home tidy? Great tips, Melissa! Thanks for sharing! I’d love to implement a more regular cleaning routine instead of cramming in a bunch a cleaning on the weekends or before people are coming over. great tips to declutter, especially ince i’m taking down my decorations today!! thanks! Loving all your advice! 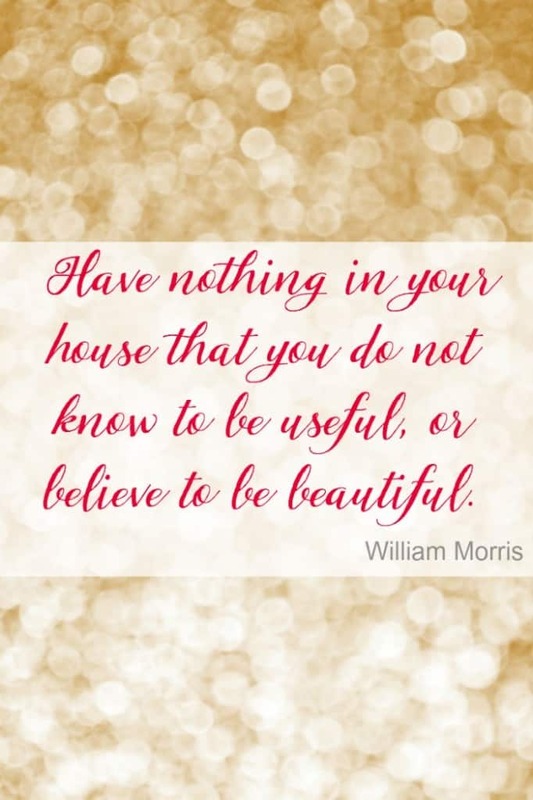 I find if I do a few small tasks a day I’m able to keep the house pretty clean and not get overwhelmed! Great tips! I’m someone with a fairly messy husband and I find that routines especially are great for helping me keep things in control. I love a decluttered home! Especially the kitchen. My one goal everyday is to keep the sink free of dishes. If I do that, then I feel so much lighter! Oh man, I so needed this post right now!!! Thanks for the helpful tips! Great way to clean things up in the New Year!